« who’s ready for spring? My friend Mary and I hosted a baby shower for another friend, Wendy, this past Sunday afternoon. We like to have “open house” showers…no games…just visiting. Doors are open between 2:00 and 4:00 p.m., come when you like, snack as you like. 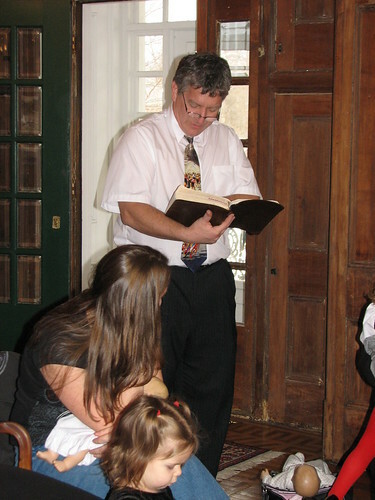 DH opened the afternoon with a devotion featuring Jacob and the fulfilled promises of God as the theme. We are grateful to God for His fulfilled promises, for the generations to come who will grow to love and honor Him, and for the many blessings He has given this particular family. 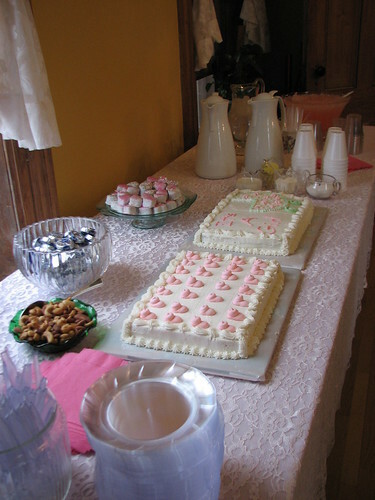 Mary arranged for the cakes and they were lovely! One chocolate, one vanilla…delicious! And look at those cute little booties! I made a variation of Daniel’s Cookie Bar Bites for this party. 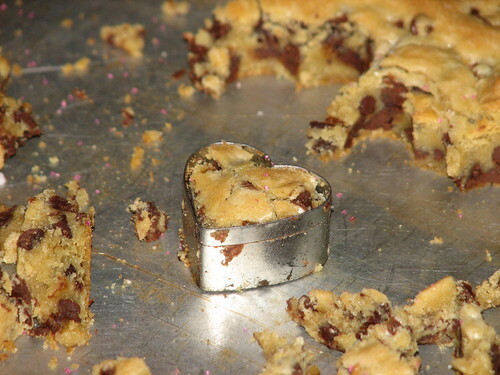 After baking and cooling the cookie bars, I used a small 1 1/4″ heart-shaped cookie cutter to cut the cookies. 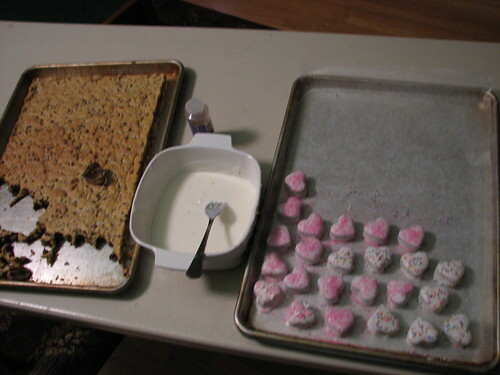 Next time, I won’t cut the edges off the cookie bars before cutting the hearts. 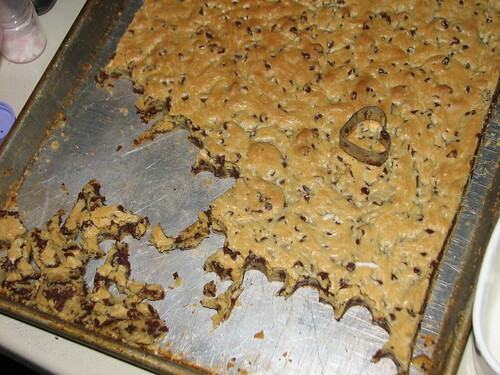 That would have given more stability to cutting near the edge of the cookie bars. Years ago (while in college), I found this little heart cookie cutter at a yard sale in a tin with lots of other cookie cutters. I use it every year at Christmas when making Sour Cream Sugar Cookies. Cut, dip, sprinkle…cut, dip, sprinkle. 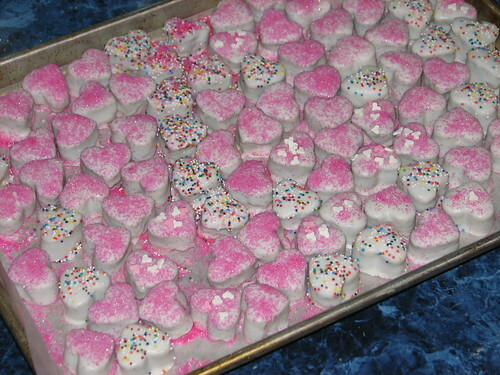 A helpful tip…when dipping these, I turn the heart over and make the bottom of the cookie bar the top of the heart. The heart on the left is bottoms up. You can see how uneven the top of the cookie is on the heart to the right. 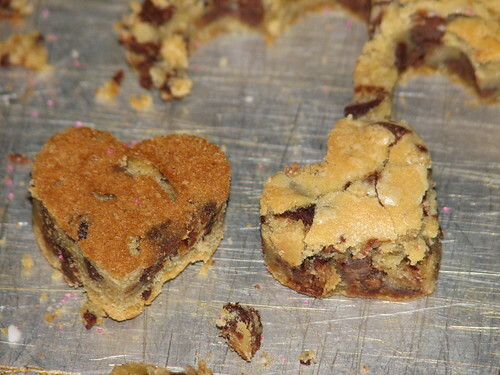 The heart on the left was dipped with the top of the cookie bar up. The one on the right was dipped with the bottom of the cookie bar up. Dipping with the bottom up gives a more defined shape and a much smoother coating. I used almond bark for dipping the cookies. I melt it in the microwave for 3 minutes at 50% power, then stir to melt any remaining lumps. If the coating gets too hot, it will sag on the cookies and have a rough uneven finish. 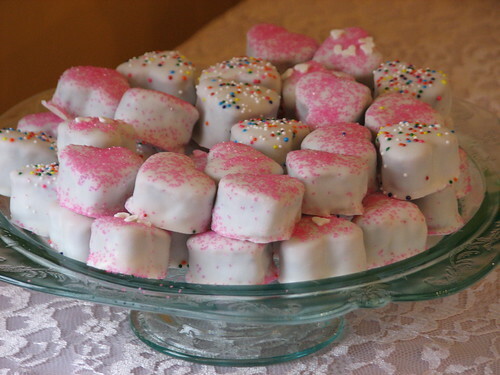 This entry was written by ~~Rhonda, posted on February 4, 2008 at 8:29 pm, filed under Bethel, party and tagged baby shower, cookie bar bite hearts, pink hearts, recipe links. Bookmark the permalink. Follow any comments here with the RSS feed for this post. Post a comment or leave a trackback: Trackback URL. This is a great idea! They look like cute little petits fours. I am already thinking how they could be adjusted to other holidays — little egg shapes for easter, stars for Fourth of July, etc. I wanted to try these for a cookie exchange at Christmas, but it never happened. Maybe I’ll make my family some “love cookies” next week. I just love the little hearts! They are so cute! They look very tasty too! 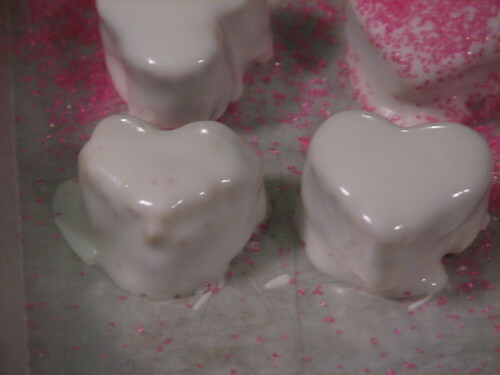 Mika and I have the same idea — I think I’m going to make some of these for my family next week for Valentine’s Day! Thanks, Rhonda. They’re made and look wonderful, thanks to all your good advice!